Ads Settings page: http://www.google.com/settings/ads. Google also recommends installing the Google Analytics Opt-out Browser Add-on – https://tools.google.com/dlpage/gaoptout – for your web browser. Google Analytics Opt-out Browser Add-on provides visitors with the ability to prevent their data from being collected and used by Google Analytics. For more information on the privacy practices of Google, please visit the Google Privacy & Terms web page: http://www.google.com/intl/en/policies/privacy/. We will not rent or sell your information to third parties outside Alu-Light Technics. detect, prevent and address fraud and other illegal activity; to protect ourselves, you and others, including as part of investigations; and to prevent death or imminent bodily harm. Information we receive about you may be accessed, processed and retained for an extended period of time when it is the subject of a legal request or obligation, governmental investigation, or investigations concerning possible violations of our terms or policies, or otherwise to prevent harm. Alu-Light Technics has taken appropriate technical and organizational measures by using the latest technologies to protect your information against loss or unlawful processing. We use safeguards to help keep the information collected through the Service secure. However, Alu-Light Technics cannot ensure the security of any information you transmit to Alu-Light Technics or guarantee that information on the Service may not be accessed, disclosed, altered, or destroyed. We request you to do your part to help us. You are responsible for controlling access to emails between you and Alu-Light Technics, at all times. We are not responsible for the functionality, privacy, or security measures of any other organization. In accordance with the law, Alu-Light Technics does not retain data any longer than is required for attaining the purposes for which they were collected. 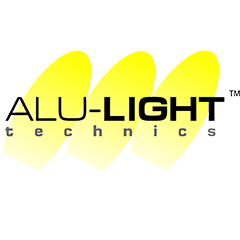 If you wish to know which of your data Alu-Light Technics has recorded or if you wish to amend or remove data that you cannot amend via your account, please contact Alu-Light Technics. application, website or service, including those that have a link on our Services, are subject to that third party’s own rules and policies.